» Addenda to CRIME FICTION IV – Harold Child to Robert Christie. Addenda to CRIME FICTION IV – Harold Child to Robert Christie. Prompted by the recent addition to the online Addenda to the Revised Crime Fiction IV, I’ve decided to begin annotating the entries again. I’ve been remiss in doing so since last December, in spite of strong admonitions to myself, and I’ve fallen way behind. All of the entries below are now online in Part 34. Posting the entries here on the blog means all the more visibility for them, however, and from past experience, the extra exposure never hurts. Comments, additions and/or corrections are not only welcome but strongly encouraged. The Diamond Ransom Murders. 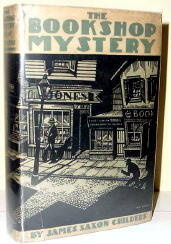 Knopf, hc, 1935; Collins, UK, hc, 1934. CHRISTIE, ROBERT (CLELAND HAMILTON). 1913-1975. Add as a new author. Lived in Montreal and Ottawa, Canada. See! You got a bit rusty and misspelled “political” in the entry for CHILD, RICHARD WASHBURN. I’m sure you’ll get back in form soon. OK. Got out my white lithium grease, silicone spray, and handy-dandy 3-in-1 oil, and the entry’s fixed now. Nothing to it! 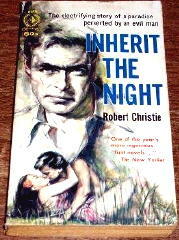 I have an original, signed copy of Inherit the Night by Robert Christie, a family friend of my deceased parents . Is it of interest to anyone? I was raised by Robert Christie and my grandmother, Alicia deLong Miller, her third husband, from 1950 until his death in Calgary, Alberta Canada in 1975. He raised me as his daughter and during my early life we resided in Ottawa, Montreal and Connecticut. I moved to the U.S. in the 1990’s and my copy of his autographed book “Inherit the Night was lost. I returned to Calgary, Alberta in 1999. Thanks for stopping by and telling us more about Robert Christie. 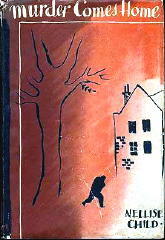 If you’d like to obtain another copy of INHERIT THE NIGHT, you could try Amazon.com, or perhaps abebooks. Using the latter I found one copy of the paperback offered for sale (under $10), and several copies of the hardcover, but mostly $25 and up on the latter. There are two signed copies, one for $65, the other for $75.